Many ground-breaking and entertaining online slots have emerged over the last six years leaving online gamblers with numerous options. With this trend in mind, Quickspin slots are most likely to be responsible for your online gambling experience. The Swedish company was established in 2012 by three players who used to work for Unibet and NetEnt. The company’s online slots have quickly gained popularity and challenged key gaming giants like NetEnt, Playtech, and Microgaming. In 2016, Playtech recognized Quickspin’s high-quality slots and decided to acquire the company for an incredible €50M. Since then, Quickspin has become a popular supplier of casino games with fixed RTPs. The company’s games are licensed by the AGCC and the UKGC. Quickspin casinos seek to provide the best video slots to improve your experience. The company’s slogan states “We Love Slots” and that’s why Quickspin is a popular brand. 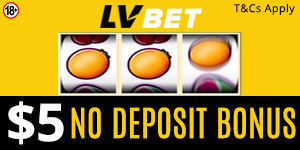 The software developer has won numerous awards and developed casino games for popular casinos like LeoVegas Casino, Casumo, MyChance, Thrills Casino, and JackpotCity. Quickspin’s futuristic approach, adventure-themed slots, bonus games, and big wins have attracted both existing and prospective players by creating a unique gaming experience. Quickspin developers release new games on a regular basis. Some of the games released in 2018 include Pirate’s Charm, Dwarfs Gone Wild, and Eastern Emeralds. The company’s slots have been successful because they meet the demands of players. Moreover, most of the company’s games run on different devices that use the latest Flash and HTML 5 technologies. They are available on iOS, Windows, and Android devices. Also, the company uses new technologies to improve old games. The Quickspin team intends to release more slots in 2019. Currently, the company has released multiple slots including Dwarfs Gone Wild, Eastern Emeralds, Volcano Riches, Pirates’ Charm, Joker Strike, Pied Piper, and Northern Sky. Chances are that the game developer will announce more releases before the end of the year. Most popular slots in Canada from quickspin in 2019 are Northern Sky, Joker Jackpot, Dragon Shrine, Second Strike and Spinions. Quickspin’s game events and real-time tournaments give players a chance to win a staggering €70,000 and prizes worth €10,000 and €5,000. Players can also track their leader-board positions. In sum, Quickspin’s creativity and the ability to meet the needs of players have made the company famous. The company might soon become the best game developer in the industry.